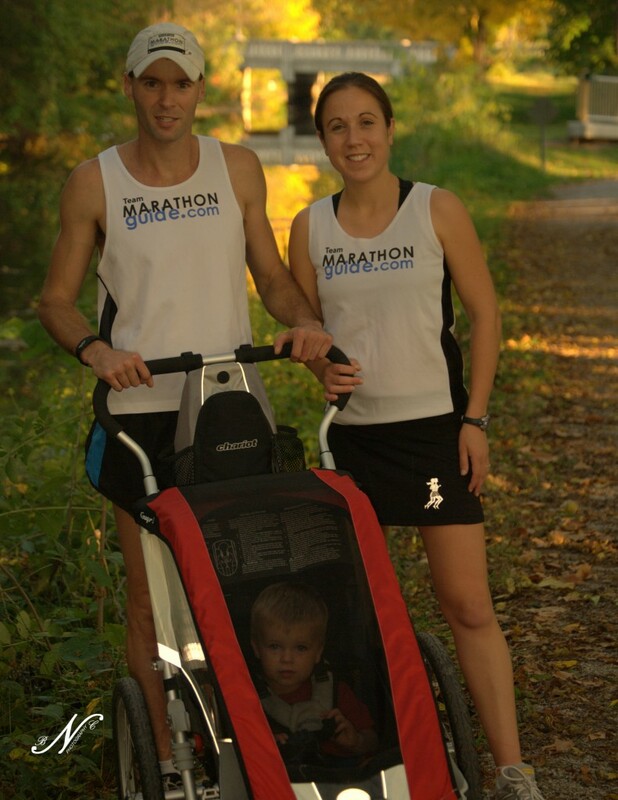 Justin Gillette ran two marathons last weekend. He won them both. After finishing in two hours, 34 minutes and 50 seconds at a race in Sarasota, Fla. on Friday, Gillette got on a plane and flew back home to northern Indiana. Less than 24 hours later, he ran the Veterans Marathon in Columbia City, Ind. in two hours, 40 minutes and six seconds. Although he hopes to sometime run a marathon on back-to-back days again, Gillette will wait a little while. Gillette, a 2005 Goshen College graduate, was unhappy with his times this weekend, as he had set a goal to run both races in under two hours and 35 minutes. With 38 marathon wins in his lifetime, Gillette currently ranks third in all-time wins for an American marathoner. Chuck Engle is atop that list, with 129 wins. Engle, still an active marathoner, has a large lead over the 40 career wins of retired runner Doug Kurtis. Although Gillette has already run 20 marathons this year and has won 15 of them, he still has two more races on his schedule before January. Gillette knows how to reach his goals. During his freshman year at Goshen, Gillette sat down to an advising meeting with Val Hershberger, associate professor of physical education, and laid out his plans for college. “I told her I had two goals in college: to find a wife and to run fast enough to keep running after college,” Gillette said. “There was only one of us in that room that was laughing, and it wasn’t me,” he said with a smile. Gillette met both of those goals. After graduating with a physical education degree, he married fellow classmate and runner, Melissa. Two years ago she gave birth to a son whom they aptly named Miles. Melissa graduated with a biology degree and is working on a Ph.D in molecular and cellular biology at Notre Dame, doing breast cancer research. Melissa also runs; she won the women’s side of the Veterans Marathon with a time of three hours, four minutes and 22 seconds. As for the second part of his college goals, Justin is, of course, still running and still winning. “I wanted to prove Val Hershberger wrong and not teach for a couple more years,” he said. Hershberger came to watch a recent race. After the race, she told him she thought it was OK if he ran for a little bit longer. Gillette regularly posts results and reflections from his races on his blog, gilletterunning.blogspot.com.